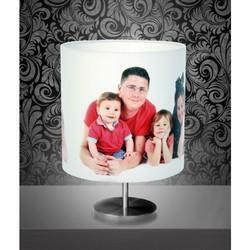 Pioneers in the industry, we offer mug printing machines, multi functional machines and personalized table lamp shades from India. We are among the reputed names in the industry for wholesaling and importing Digital Mug Press Machines. 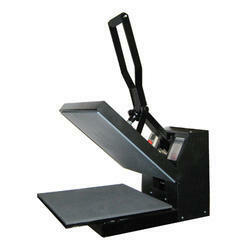 The offered machines are used for digital printing and pressing of mugs and are extensively demanded. These machines are technologically advanced, resistant to wear & tear, fast and energy efficient as well. The offered machines are robust in terms of construction and are available at cost-effective prices. This is a small rectangle lamp for bedside and quite romantic. The sides measure 5*9 inches. There are 4 sides and hence you can have4 pictures or results i.e. collages etc. The box is strong and is made of acrylic. The bulb used is normal 40-watt everyday filament bulb with brass holder. You can replace the same with a LED bulb also. The pictures are laminated and hence can be wiped clean and there is nop chance for color loss etc. Designing time and making the lamp is 24 hours. We can share the design with you for approval. 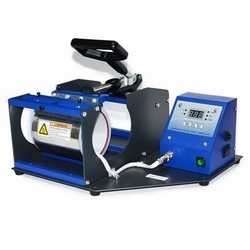 Looking for Multi Functional Combo Heat Press Machine ?